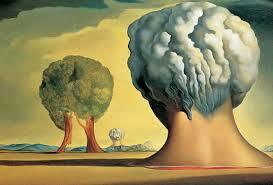 Salvador Dalí was born in 1904 in Figueres, Spain to a lawyer and a hosue mother. Fortunately, his parents always supported him in his artistic abilities. 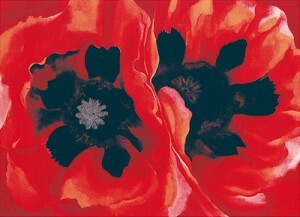 They encouraged his creativity and intelligence, sending him to art school at a very young age. By the time he was 15, Dalí had his first public exhibition at the Municipal Theatre of Figures. 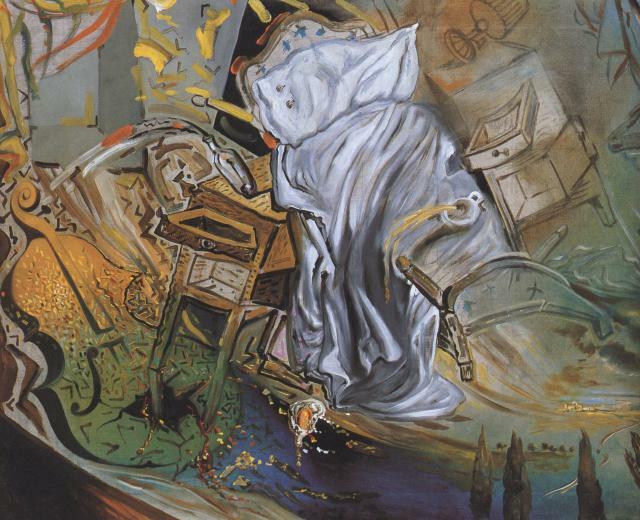 In the academy, Salvador Dalí was exposed to different artistic styles – from Renaissance art, to Metaphysics and Cubism, to Dadaism. In addition to exercising various art genres, he also exercised his voice frequently. He was suspended, and later expelled from art school for his incessant and aggressive riots, claiming that the teachers were unqualified and inept, unable to teach him anything of value or worth. 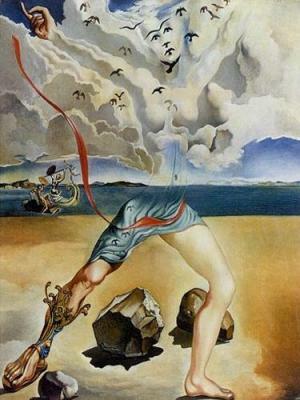 1929 marked the beginning of Dalí’s first Surrealist period. 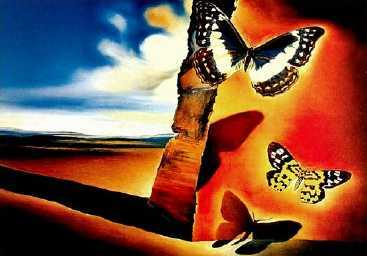 Heavily influenced by the writings of Sigmund Freud, Salvador Dalí created works of art based on his dreams. He used what he called the “paranoiac-critical method” in order to tap into his subconscious so that he could alter reality to make it look how he wanted it to. In 1934, Dalí was expelled from the group of Surrealist artists. It is unclear as to what caused this – whether it occurred because of a clash of political opinions or if it was related to individual issues that Dalí had with these artists. 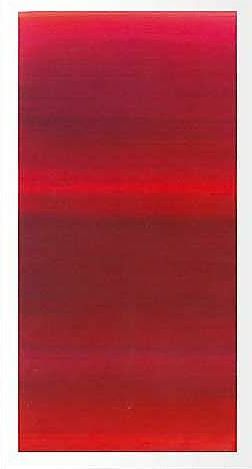 Nevertheless, he continued to work in the Surrealist style, participating in exhibitions, until he began his classical period in the early 1940s. The Dalí Theatre-Museum was created and curated by Salvador from 1960 to 1974. 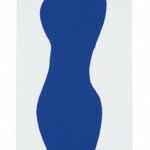 It houses some of his greatest works, in an incredible range of styles and from a broad range of stylistic periods. The building itself is a work of art, as each space was carefully selected in order to create a wholesome, artistic experience, each element contributing equally to the museum as a whole. Dalí was plagued with suffering during the final years of his left. In 1980, he was overcome by a motor disorder that left him unable to paint. Then, in 1982, his wife died. To make things worse, he was terribly burned in a fire in 1984, leaving him wheelchair bound for the rest of his life. After suffering both emotionally and physically, Salvador Dalí passed away from heart failure in 1989 at the age of 84. This entry was posted in General news and tagged Surrealism, Dalií, art on May 18, 2015 by Carolina Diaz. Spring is in the air and the Earth is blooming. Always the season where florals are in style, Spring has been re-infused with flower power. 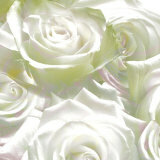 This timeless classic has been spun on its head with sweet and simple shrubs shrinking down under big, bold blossoms. An overwhelming appearance of over-sized orchids and delicate daffodils has established floral print as a major trend of the season. The design world gained a green thumb this Spring, with flower prints springing up everywhere from interiors to runways. What is appealing about this trend is that the small garden of stylistic possibilities has expanded to become an endless field of flower prints. Planted alongside the delicate romance of the quintessential flower print come florals that meet minimalistic interests, and flowers bold and bright. The versatility has drawn all kinds of audiences into the trend. While big and beautiful seems to be what has been catching the eyes of many, multiple trends have emerged, leading to the evolution of the traditional flower print. 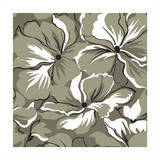 Simplicity is common among floral lovers, as it can be paired with anything and added to any space. On the other hand, striking colors combined with dynamic prints have a way of creating a bold statement, without the need for adding much more. As an accent, flowers create interest and grab attention, without an excessive shock factor. Flower prints can come with few or many flowers. Larger flowers create more of an impact, as they create more focus and can be seen as a statement piece. A print with a flower bunch, conversely, creates interest with a subtle impact. Flowers contribute positively to any space as they bring the outside in, creating a nature filled environment, even in a windowless room. In addition, the variety of colors that flowers can be represented in allows for the trend to appeal to just about any taste. Spring has sprung! This season there are definitely perks to having a wall-flower... or an entire bouquet! This entry was posted in Contemporary, Photography and tagged Spring, flower, wall art, art on April 16, 2015 by Carolina Diaz. 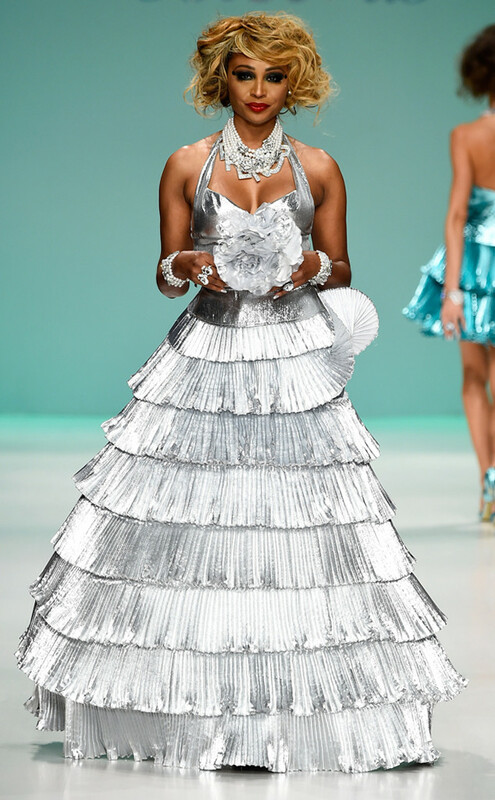 This Spring, works of art made their way down the runway in New York for Fashion Week, inspiring emerging trends in the design world. We, here at Map Acte 3, have complied our favorite looks and linked them to some of our favorite works of art. 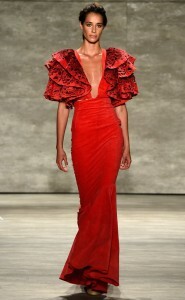 By doing so, we have watched the work of everyone from Carolina Herrera to Victor Vasarely strut down the runway. Artist-designer collaborations have become stronger, with fashion designers hiring artists to design their runways and collaborating with them in order to create unique, artistic collections, season by season. The relationship between fashion and art has never been stronger, as evidenced by the Spring Fashion Weeks of 2015. We have come to see fashion an art as mirrors for each other. Explore some of the most memorable art reflections from Spring 2015 New York Fashion Week. This entry was posted in General news and tagged paintings, trends, Spring 2015, NYFW, fashion, modern art paintings, art work, art on March 26, 2015 by Carolina Diaz. Despite our clear vision for the year, 2015 is looking abstract for Map Acte 3. This year we are highlighting the new artwork of two female abstract artists: Alison Black and Chantal Talbot. What these artists have in common is their talent for abstraction and their incredible ability of capturing movement, through their unique brushwork and focus on texture. While their styles and concepts differ immensely, Black’s and Talbot’s talents are evident in their works of art. 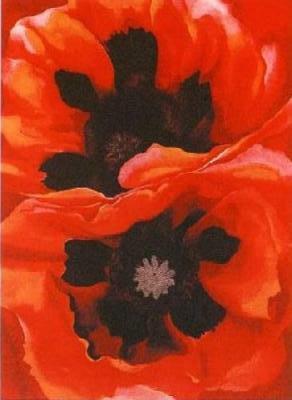 Some of you may be familiar with the work of Alison Black from our website. Although she has previously focused on creating works, featuring portraits of familiar faces from popular culture, our latest collection of Black’s work features vibrant and active brush strokes that come together to create warm and lively pieces of art. Black creates expressive scenes through her use of energetic hues and evocative applications of color. 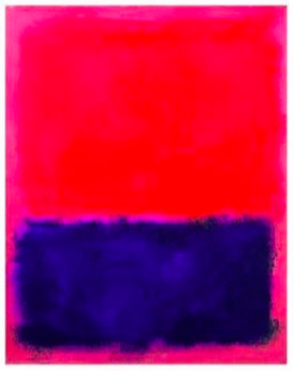 These abstract works generate emotion in ways unlike her portraits, but use the same powerful colors to do so. Talbot, on the other hand, uses subdued and monochromatic palettes in order to express movement and life in her active seascapes. 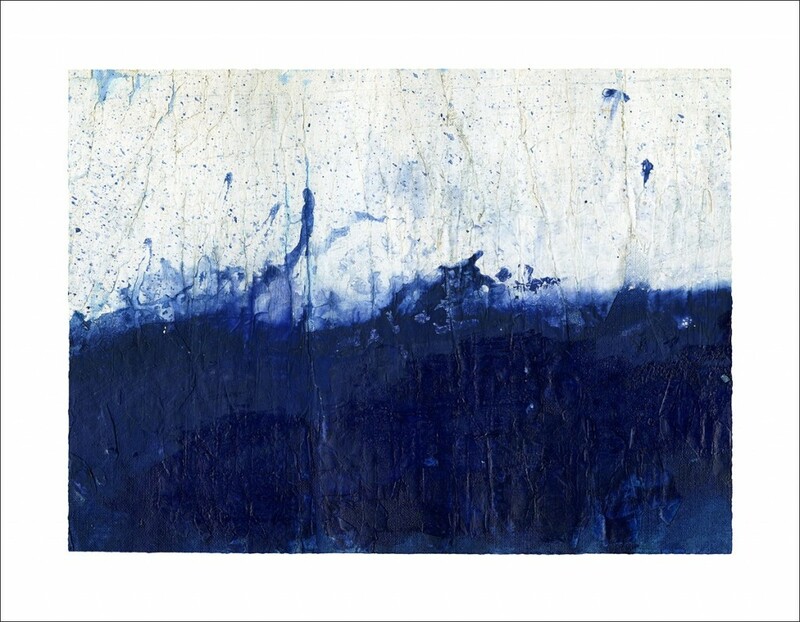 Her artwork represents a conflict – as cool, peaceful hues take on the form of an active, tormented ocean. These dark scenes communicate the force of the sea. Talbot’s work is emotional – full of passion and action. These expressive works of art have been added to the Map Acte 3 collection for the year 2015, bringing some life and action into the new year. 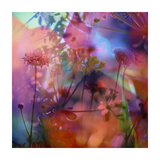 This entry was posted in Contemporary, General news and tagged abstract, Alison Black, Chantal Talbot, new art work, abstract art, art work on March 6, 2015 by Carolina Diaz. Taylor Swift isn’t the only one with a blank space. 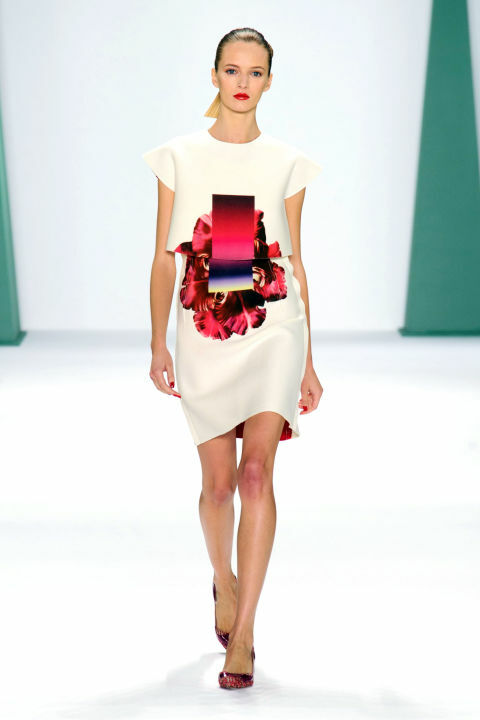 There has been a resurgence of the presence of the negative space trend on runways and in homes recently, due to the popularity of this artistic technique. 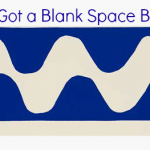 Negative space is the use of blank spaces on a surface in order to create shapes or an artistic form. 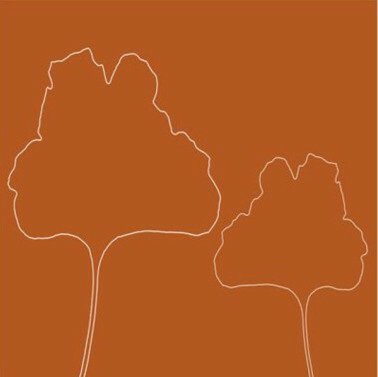 This has been popular with artists like Piet Mondriaan and Henri Matisse, who take advantage of open space in order to create sleek silhouettes, which serve as the subjects of their artworks. These empty spaces create balance and interest, by forcing you to look just that much longer in order to see all the forms that have been created by the combination of positives and negatives. 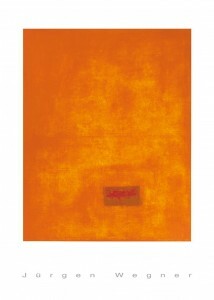 In this way, a unique image is fashioned, which draws in the viewer due to the presence of this emptiness. This trend, like most in the art world, has made its mark on the fashion world, emerging in clothing prints and beauty trends. Clothing and shoes with cut outs make use of negative space in order to accentuate features of the human body that will flatter the wearer. This, in turn, creates an interesting style that is aesthetically unique. 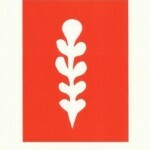 Like many other trends, the use of negative space began emerging in home design. The use of white and open areas in design is one way of creating intrigue in a space. This design process, too, is facilitated by maintaining a minimalist mindset while designing, so as to ensure that when open space is used, the objects that fill it play with aspects of negative space. Emptiness soon began filling a void that existed in the design world, making its way into pattern and fabric design and the beauty arena. 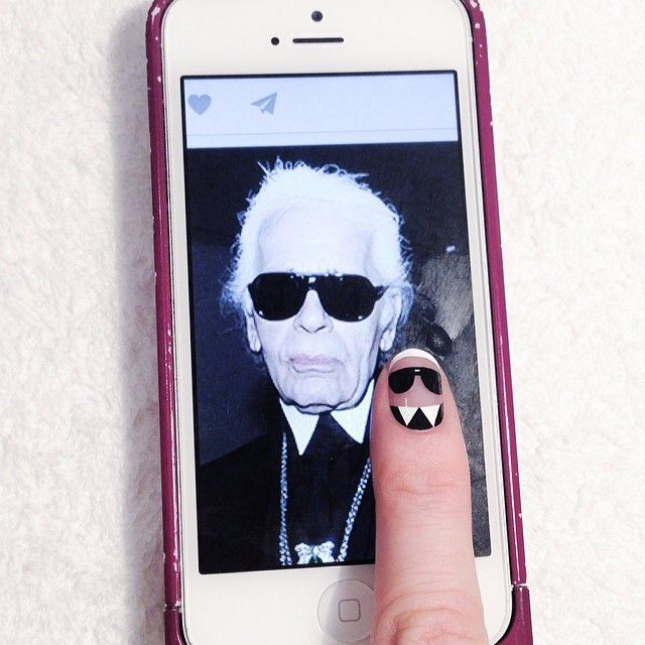 With the explosion of the nail art trend, negative space took on a major role. People weren’t just designing their nails with images, they were creating a balance between negative and positive space in order to create nail art designs. As a result, each nail became a canvas, where nail artists could take on the roles of famous artists, doling out half-inch masterpieces on each fingernail. 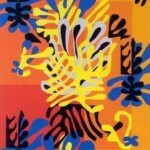 Because of the popularity of this trend, art became fashion and design. Everyone was taking home a little bit of art each time they bought a cut out dress, or got a funky manicure. These negative space designs soon filled closets and homes, alike. In this way, another paradox grew from the art world: when emptiness began to fill space, negative became positive. This entry was posted in General news on January 15, 2015 by Carolina Diaz. After the carols have been sung and gingerbread houses have been eaten, we were unwrapping more than gifts this holiday season. The coming of the New Year had us unpacking memories from 2014, those that defined the year, those that made it special. For the Map Acte 3 community, the launch of our new website was a catalyst for many of the monumental moments we’ve recalled from the past year. After the transition from a paper catalogue to one online, we have seen the continuous loyalty and support of each and every one of our customers. We have watched our artists produce beautiful works. We have strengthened our company through the hard work of our staff. This New Year, we see ourselves getting stronger, becoming positive about the future of our company because we creating it for ourselves. This coming year, we aim to help our customers more, no matter what your New Year’s Resolutions. If you resolve to add color to your homes, if you resolve to buy only high quality works, if you resolve to redecorate your space, Map Acte 3 is here to help. Don’t let these resolutions slip away as the weeks pass by. We can ensure that these New Year’s Resolutions are ones you can actually keep. Just like you, we, too, have resolutions for the year: to produce work of the highest quality, to help our customers no matter what their design needs, to create a wonderful work environment, and to do it all with smiles on our faces. As the year comes to a close, we are both grateful for the past and excited for the future. We wish you all a happy holiday season, and a happy New Year! Let’s work together to make 2015 the best, most beautiful year yet! This entry was posted in General news, Uncategorized on January 2, 2015 by Carolina Diaz. After a year of health and happiness, we’d like to reflect on what we can give thanks for, given the upcoming holiday. Filling our mouths with turkey and our hearts with the love, we also fill our minds with memories of the year to remind us of what this holiday is all about. We are thankful for our families, thankful for our friends, and we are thankful for the opportunities we have been given. We are especially thankful for the artists we work with, who, through their creativity and hard work, have given us the color with which we decorate our lives. Their art brings life to our homes, offices, and spaces, and for that we must give thanks. Big thanks to everyone around the office; you bring life and joy to the company, with your boundless energy, your drive, and your passion. Without you, we would be nowhere. The dedication you have showed to this company not only reflects your talent, but also strengthens the community we have created. Finally, we would like to thank our customers. Your continuous loyalty to our company has only made us want to be better. Our desire to serve you stems from the support you never fail to give us, making us all the more thankful. We appreciate every moment of the past few years we have worked together, and we hope to continue to do so in the future. We wish you the best during this Thanksgiving holiday. May you stay happy, your families stay healthy, and your homes stay beautiful. This entry was posted in General news on November 26, 2014 by Carolina Diaz. Within four walls, you create the story of your life. Like an author, you weave together small details to create a space that becomes the setting for this story. In this way, your home begins to speak for you. It becomes a reflection of who you are. For this very reason, it is important to fill your space with pieces you absolutely love. These become a form of self-expression, which add detail to your design autobiography. Couches are more than just fabric and fluff, and art is more than just a pretty pop of color. Each item in your home becomes a part of your story. Each item in your home becomes a vessel for the memories you create and share in your home. Each item in your home becomes part of you, a part of your place – a place of relaxation, a place of laughter, a place that is entirely yours. At Map Acte 3, we aim to provide you with the illustrations that will add color to your story. In order to create a great space, quality is key. I always say, “I’d rather have a few high quality items, than a bunch of okay ones.” With this in mind, Map Acte 3 was created. 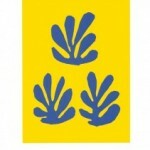 Our art house produces high quality artworks in various styles and mediums. This versatility provides artwork for any taste and in any situation. We aim to help you meet your design needs, no matter what your story. Explore our website for some ideas that will help you create your story. After all, every author needs some inspiration! This entry was posted in General news, How-To on November 20, 2014 by Carolina Diaz. They say a dog is a man’s best friend. When it comes to Pablo Picasso and Lump, this is absolutely true. Their love affair began like any other – from a short meeting budded a lifelong friendship between the two. 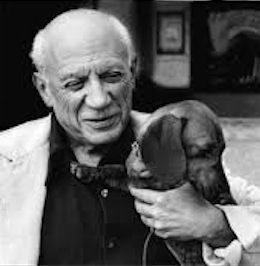 We would like to honor last week’s artist of the week by documenting the bond shared between Picasso and his muse, a little rascal named Lump. 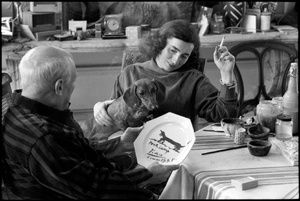 During their first encounter, Picasso painted the spunky dachshund on a plate, which he gifted to the pup. This plate was the first of many depictions of the dog created by the artist throughout their many years of friendship. 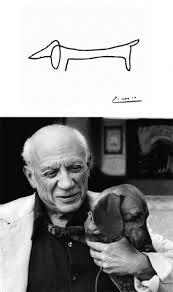 In a variety of media and in different styles, Picasso began to paint his beloved dog. 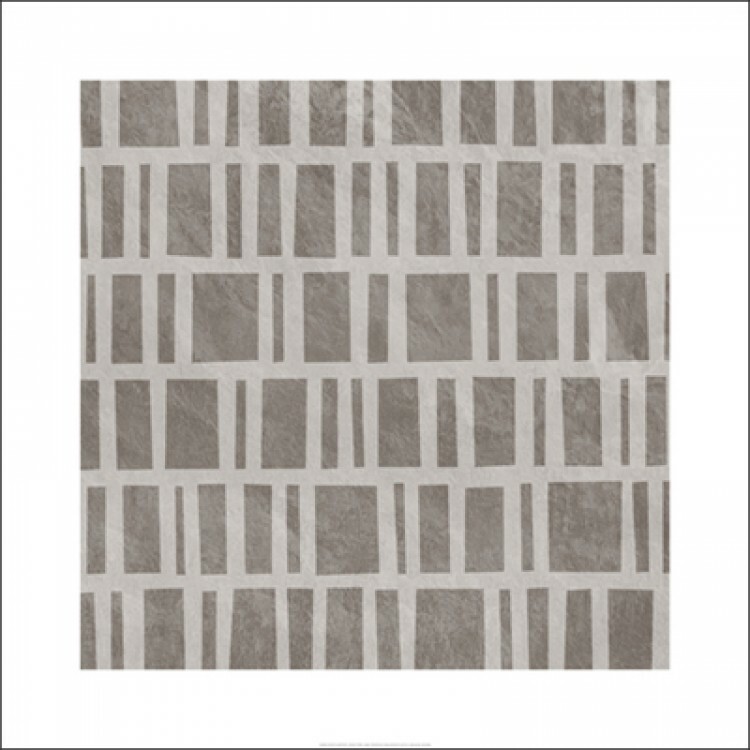 One of the most memorable representations of Lump comes in the form of a single line drawing by the artist. 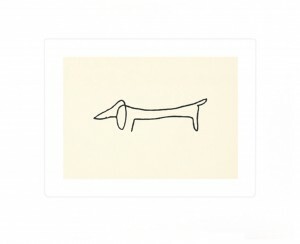 These simple, abstract artworks were a collection by the artist that focused on the figures of the objects, people, and animals he was drawing. These were the result of the artist’s talent in representation, bringing two-dimensional figures to life after placing pencil to paper just once. Lines and curves were marked on the paper in just one stroke, and in this way, Picasso created some of his simplest, yet most interesting abstract works of art. He not only painted his sweet dog, Lump, but also went on to paint other figures. These abstract drawings are perfect for any space. Their simple elegance complements a chic minimal space, but could also create an air of sophistication for the bedroom of a young adult. Exuding a classic, modern look, these works of art are versatile and timeless. This entry was posted in General news, Museum and tagged dogs, lump, picasso, art on November 4, 2014 by Carolina Diaz. There’s nothing like the crunch of red and yellow leaves under your boots as you walk through the crisp, Autumn air. This time of year, nothing excites me more than falling leaves, warm scarves, and pumpkin spice! Inspired by the color and beauty of this Fall season, I decided to take a picture of the gorgeous leaves that surround me, and create a spread of my favorite artworks that remind me of the Autumnal season. After all, the paintings channel the beauty of the season, and of the leaves, which seem to paint the ground you walk on. These paintings are warm, inviting, and just as unique as each fallen leaf. Take a look at my favorite, beauti-fall works of art that channel the spirit of the season. This entry was posted in Contemporary, General news on October 22, 2014 by Carolina Diaz.